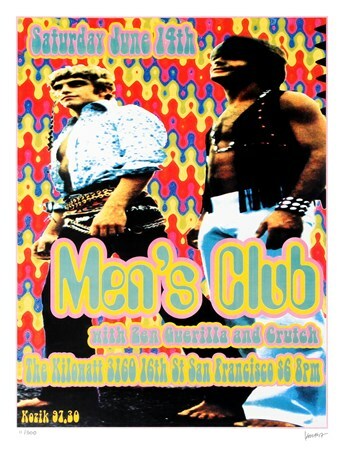 Limited Edition Art Print: If you are a fan of the unusual and rare pieces of advertising art, then this incredible signed and numbered art print would be a fantastic addition to your collection. 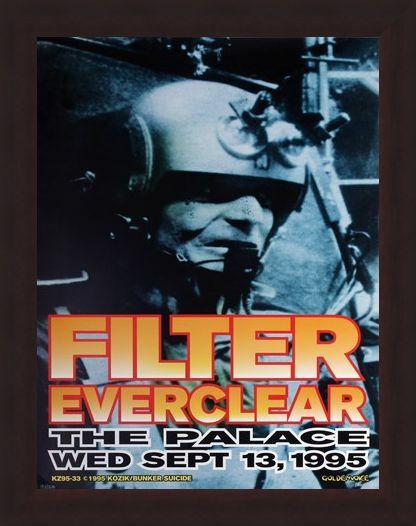 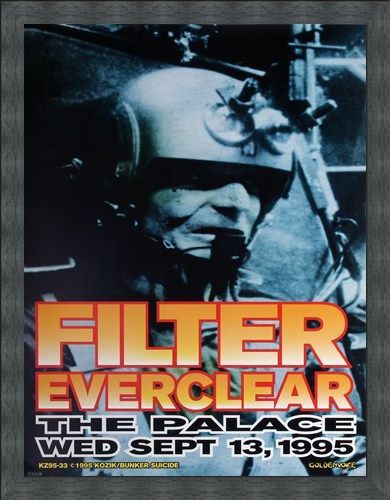 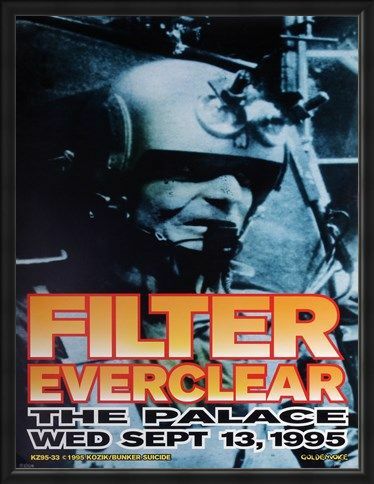 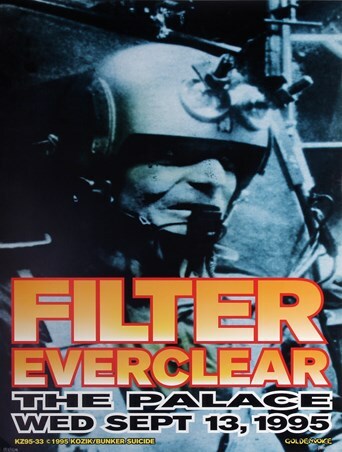 Created by American artist Frank Kozik, it features the rock band Filter being supported by Everclear at a gig at the Palace on the 13th September, 1995. 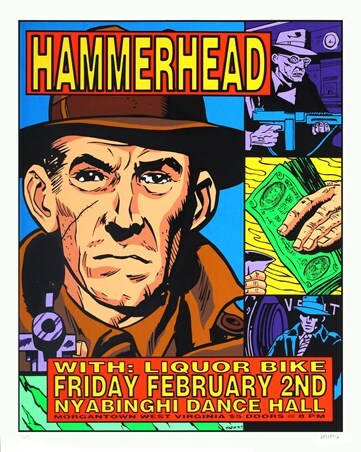 Originally put together as a poster to draw the crowds in, this stunning graphic creation has been turned into a high quality art print which is not only limited edition, but it is also signed by the artist Kozik himself. 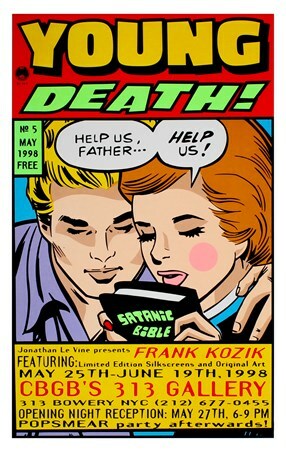 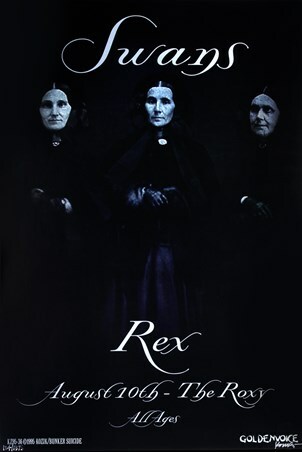 So if you are a fan of Filter who have recently released a 2010 album "The Trouble with Angels" or, if you love Frank Kozik's work then this art print would be perfect for you. High quality, framed Filter supported by Everclear, Frank Kozik limited edition print with a bespoke frame by our custom framing service.